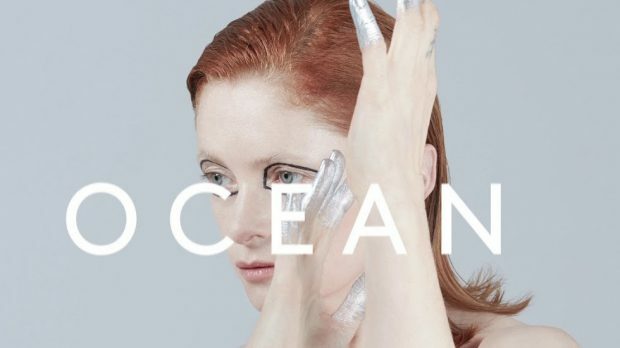 Dave Gahan of Depeche Mode proves he’s no washed-up ’80s star on the re-release of Goldfrapp’s Ocean, originally released on last year’s Silver Eye. Though both versions are much alike, there’s something about this update that just feels more right. You couldn’t have added a more perfect voice to a track that was already like Depeche Mode for the 21st century.The start of the track is signalled by a pulsating beat that plays heavy and steady as an alien-like synth greets Gahan’s voice, which is ominous and powerful in it’s delivery. The words it puts forth are no different; he is “poisoned” and “on the move for you”, a scorned man in search of revenge. The soundscape builds as the song progresses, with Alison Goldfrapp’s voice soon joining his own and layers of electronica piling upon one another. None of it clashes, however. It’s complex and intense; a night-time track in the best sense of the word. Gahan takes over roughly half of the track before Goldfrapp grabs the reins back for her solo. Though the lyrics are the same, the vocal differences, both in style and performance, give off quite opposing vibes. Goldfrapp’s anger feels more palpable in comparison to Gahan’s relative composure. The imagery of a hooved animal “coming for you” as the song ends sets up the age-old fear of being chased; a truly impactful note to finish on. There’s nothing better than a reminder that previous decades are still alive today, and this collaboration is sure-fire evidence of that. Ocean is also an indication that angry music need not be punk or heavy metal; as long as the fire and pain are there, so too can be the expression through song.